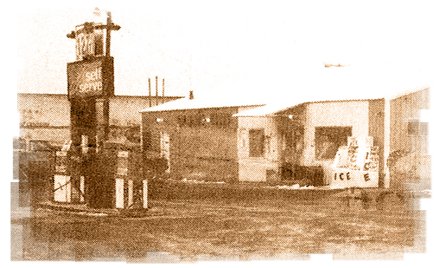 The original Fort was registered as a business in 1954 and purchased by Laura & Jeff Cowell in 1985. 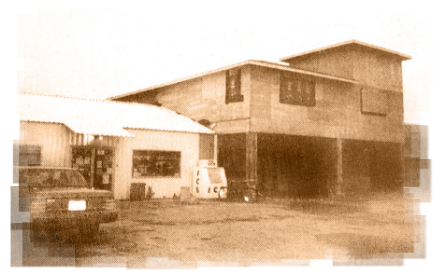 We were originally a convenience store that happened to also sell a bit of fuel and had a small restaurant in the back. Our gun department also offered a humble thirteen total firearms for sale. We never expected what was to come in the following years. The 90s brought us to our first true remodel and largest expansion to date. We added a completely new addition which would become our new grocery and deli, plus a second level to accommodate our full-size gift shop. Around this same time we incorporated a Montana State liquor store as well as expanded our gun offerings. We were also fortunate enough to add Sinclair to our ever growing "Fort Family". Right around 2010 we went through our next biggest remodel. We sold the cabin that was next to our addition and expanded it into another new wing. This renovation was an important one as we added large public restrooms, and after years of requests, decided that it was a good time to add better fuel access as well. We completely removed the fuel dispensers from the front of the store and moved them under a large brand-new canopy with six full size pump stations! We also added an air pump and dedicated dyed fuel for the larger county vehicles. The inside of the store saw many things move around and expand. We moved our liquor store to the new addition and expanded into a full wine cellar with over 300 different types of wine. This shift also gave us the room we needed for a full-fledged sporting goods department, now with over one thousand guns! We are ever expanding, trying our best to meet the needs of our customers, and we can't wait for you to see where we go next!